Browse current and upcoming availabilities below or contact us directly at (585) 295-9500. 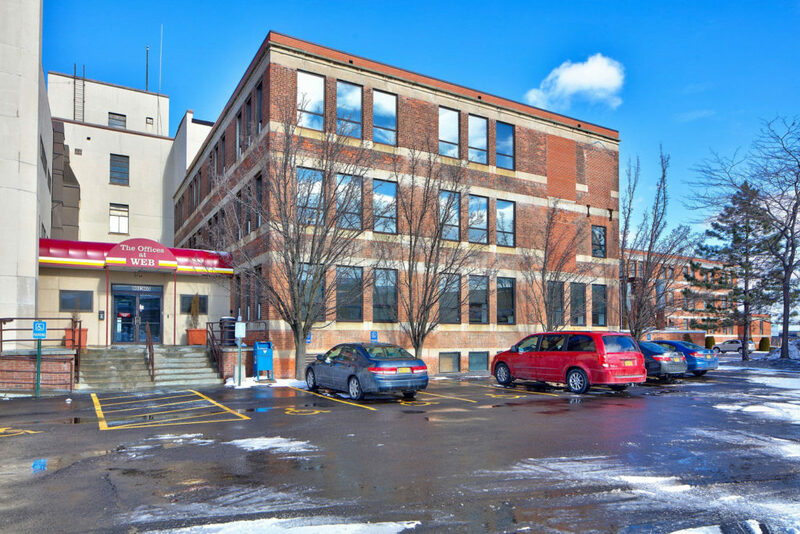 This 27,060 square foot industrial building with grade access is located at the corner of Lyell Avenue and Rutter Street near Mt. 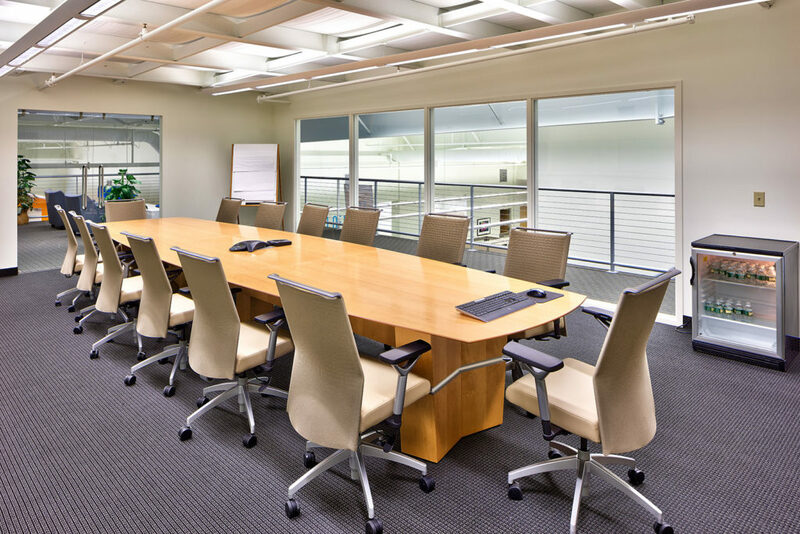 Read Boulevard – ideal for a machine shop or fabricator. 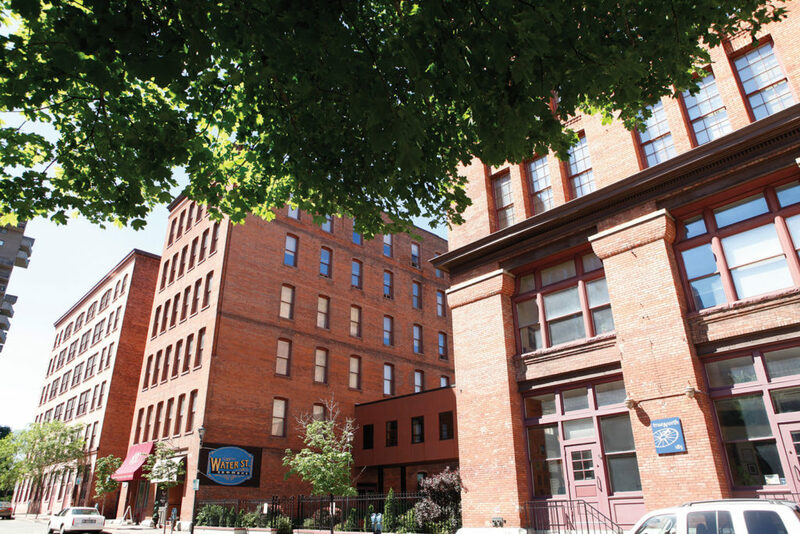 The Riverview Lofts are located in the St. Paul Quarter near Pane Vino, Fifth Frame Brewing, and Tapas 177. 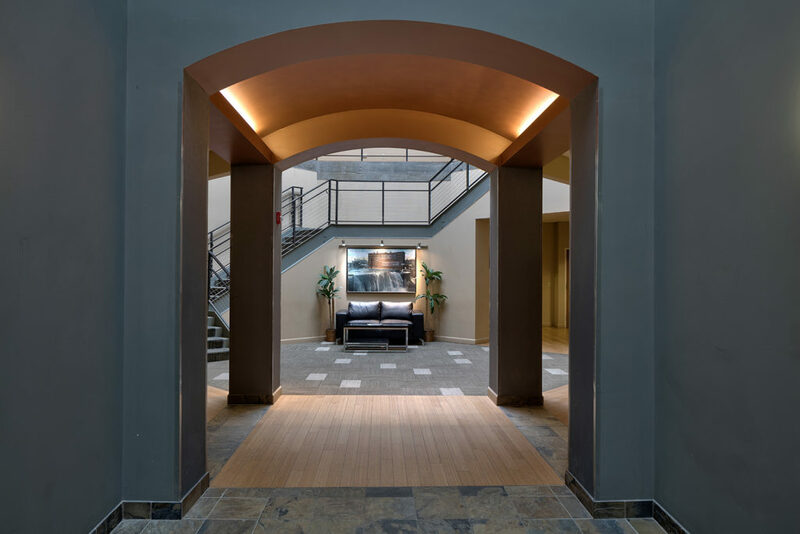 The building offers studios, one and two bedroom lofts. 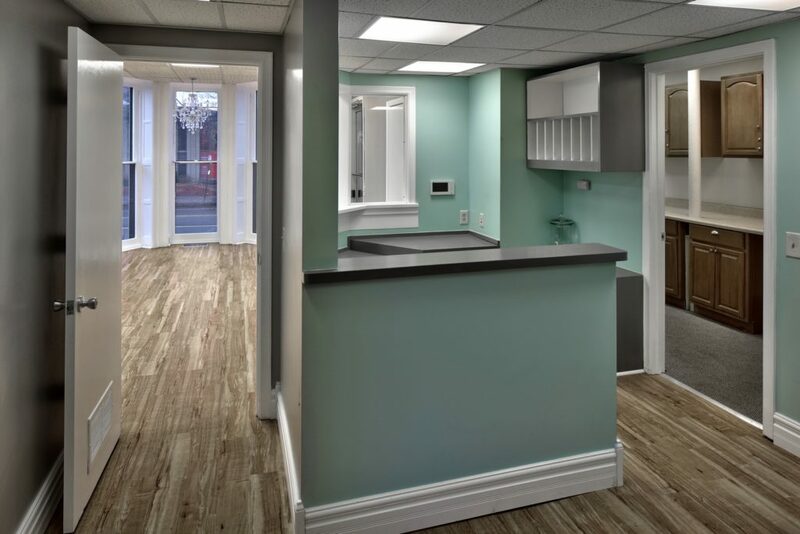 Located in the Alex Park neighborbood near the corner of Park Avenue, 256 Alexander Street features include restrooms, a kitchenette, and on-site parking. 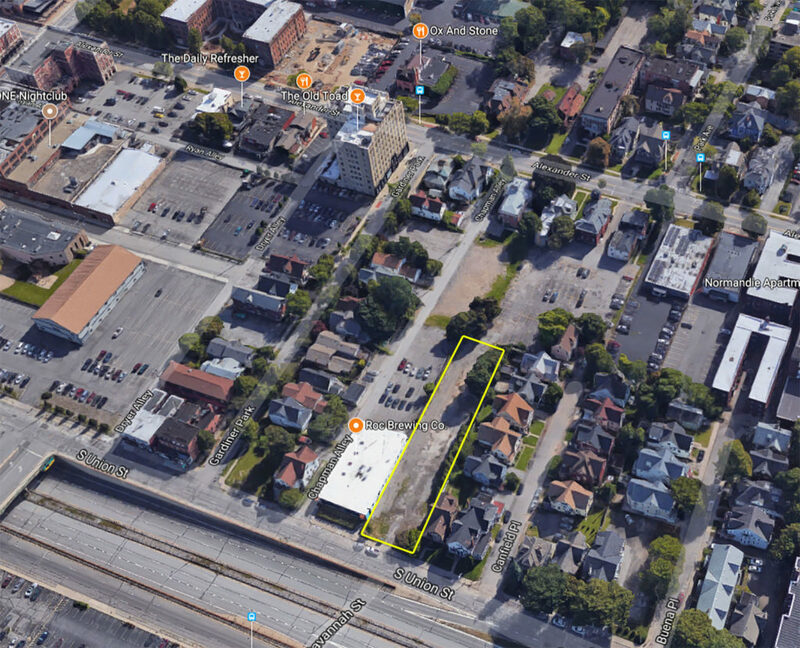 Buckingham Properties is offering a unique 2,500 square foot retail or office opportunity on Alexander Street near Monroe Avenue. This property is a converted two-story brick house, nestled behind Brooklyn Ramen. Hive@155 features ground floor retail in the St. Paul Quarter with 54 loft apartments on the upper floors. 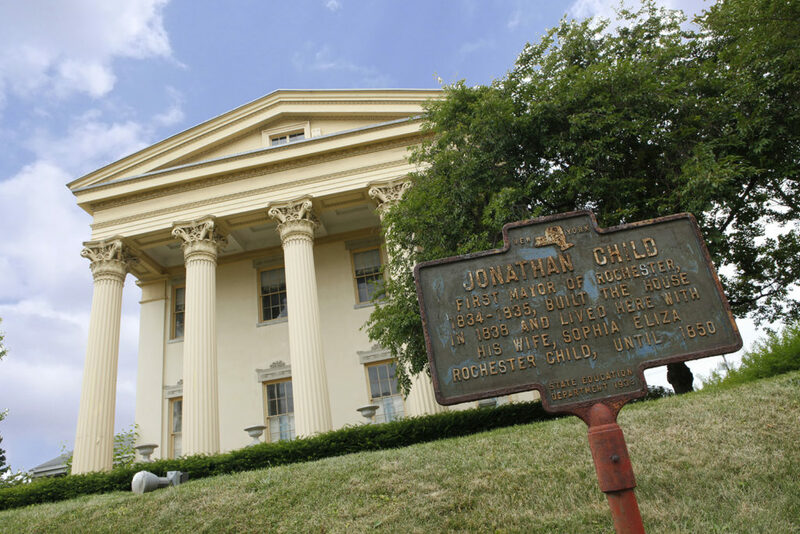 35 S. Washington, also known as the Jonathan Child House, is located in the heart of the Broad Street Business District. 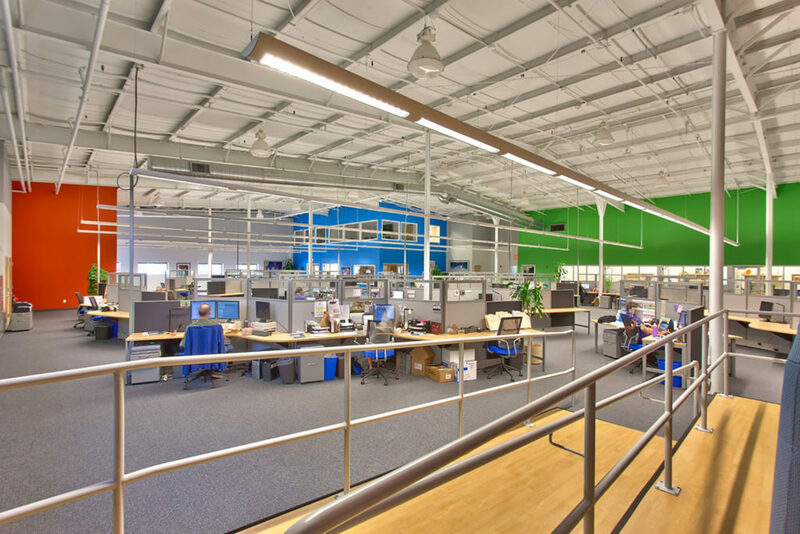 This stand-alone building offers 8,200 square feet on four floors. 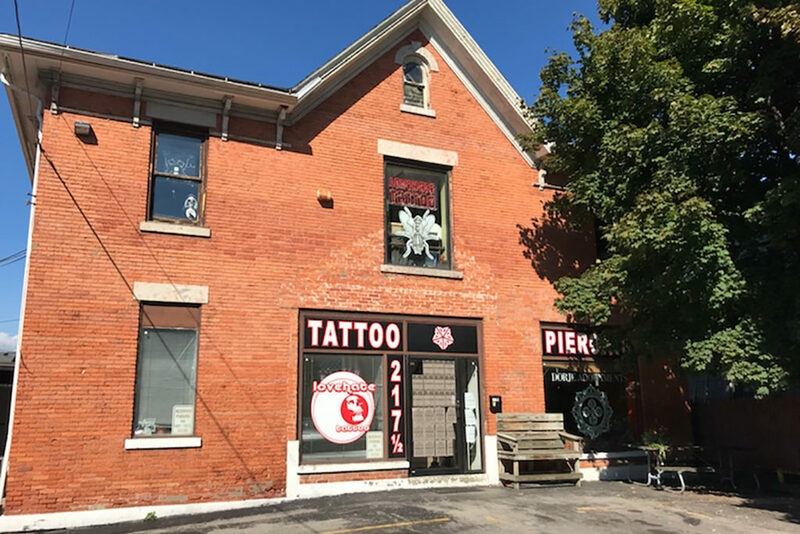 222 Alexander St is a medical office building located in the Alex Park neighborhood which includes office, retail and residential space between Monroe Avenue and Rochester’s East End. New mixed-use development at the corner of Alexander Street and Tracy Street includes retail, office, and residential. 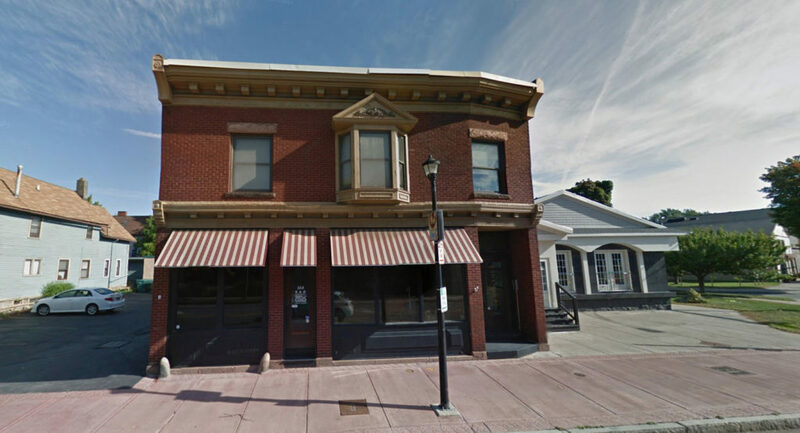 214 Alexander St is a stand-alone building in the Alex Park neighborhood which includes office, retail and residential space between Monroe Avenue and Rochester’s East End. 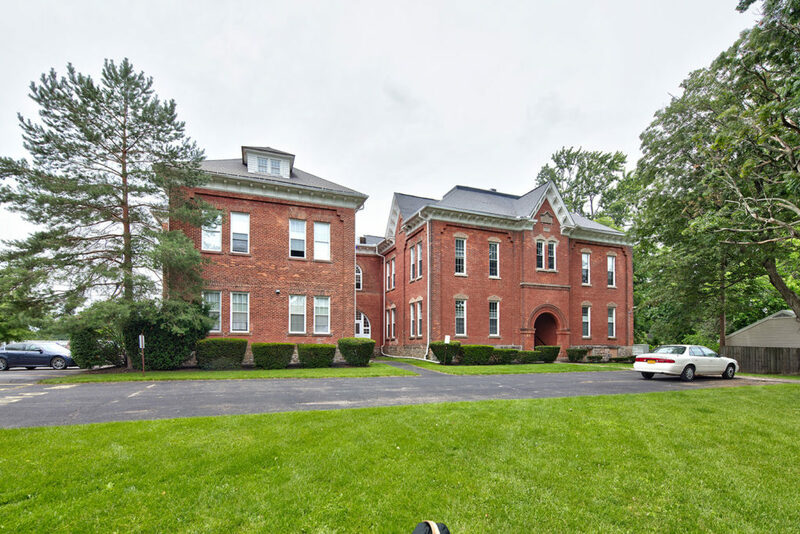 220 Alexander St is an office building located in the Alex Park neighborhood which includes office, retail and residential space between Monroe Avenue and Rochester’s East End. 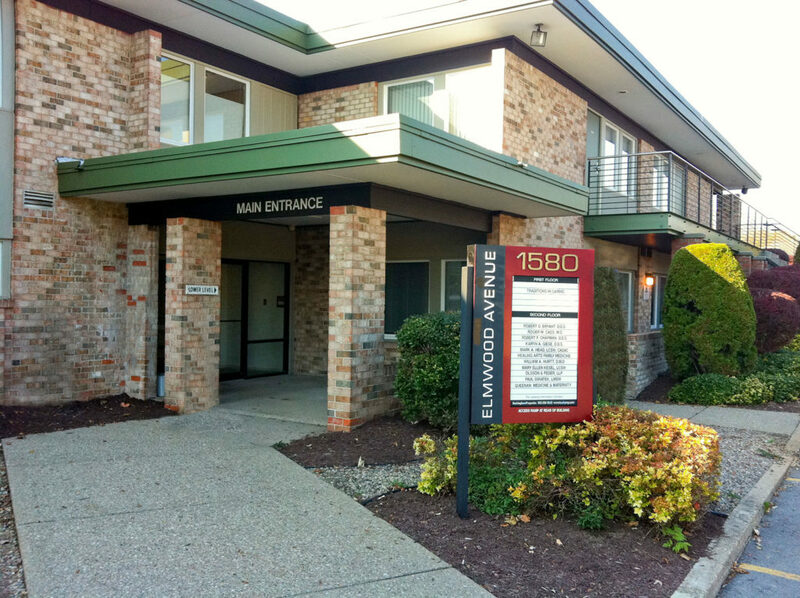 360 Monroe Ave at Alex Park is highly traveled and just minutes to I-490. 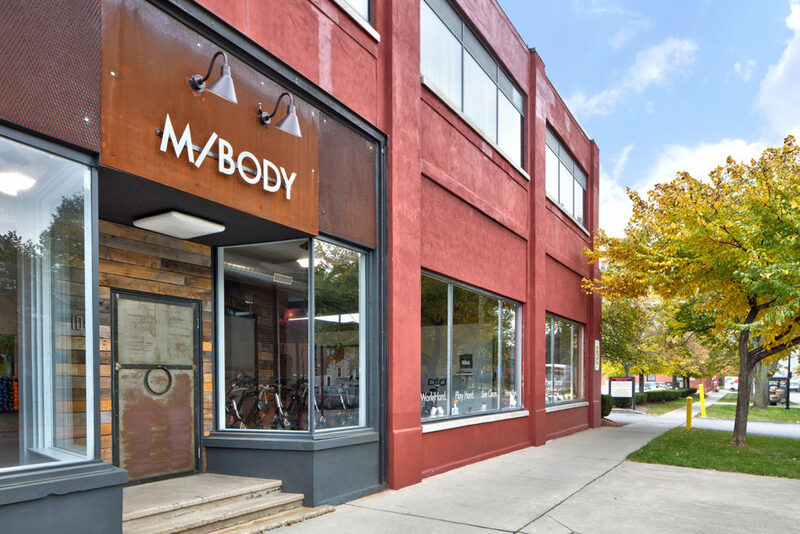 There is potential to subdivide this property to accommodate street-level retail users. 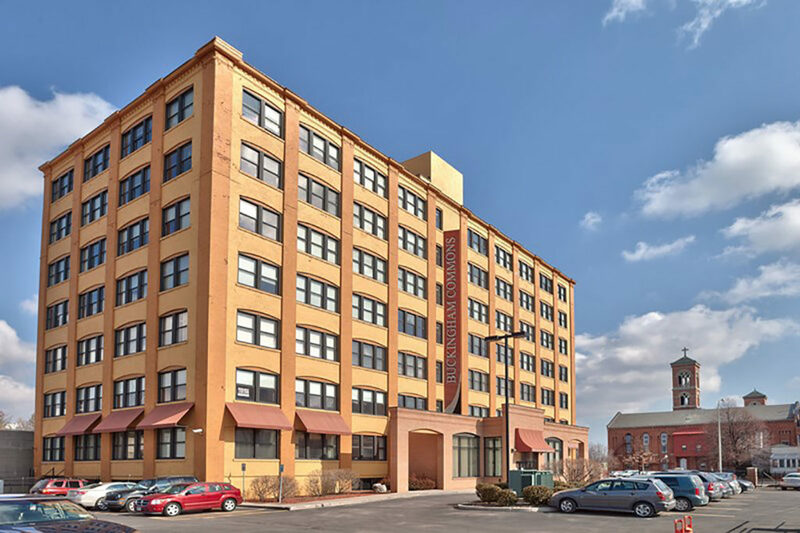 Buckingham Commons is a redeveloped mixed-use property that offers 3 floors of unique office spaces featuring exposed brick and beams and four floors of loft style apartments. 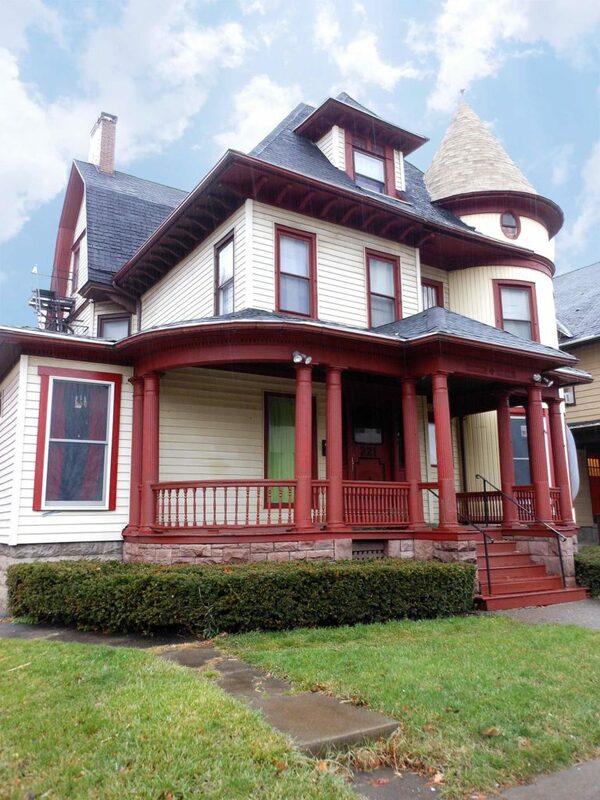 Located directly across from Frontier Field just off the Inner Loop. 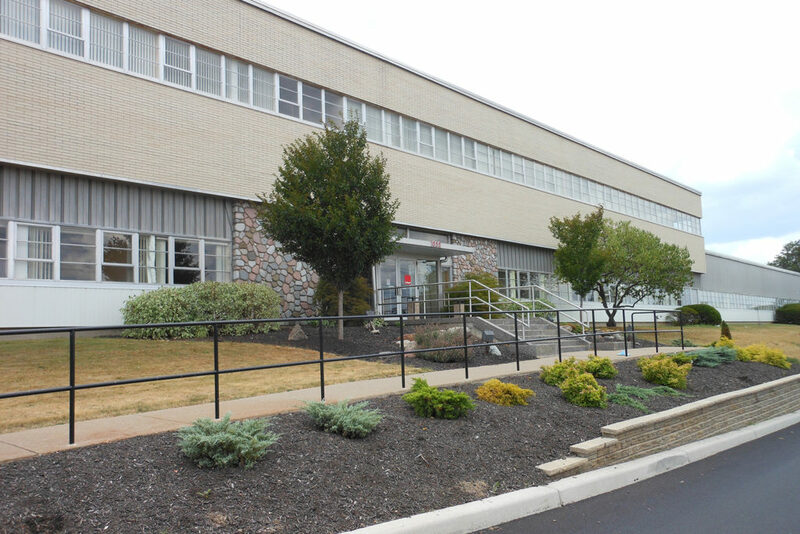 Buffalo Road Business Center is a mixed-use complex with warehouse, office and manufacturing space located on 460 Buffalo Road – just 0.3 miles from I-490. 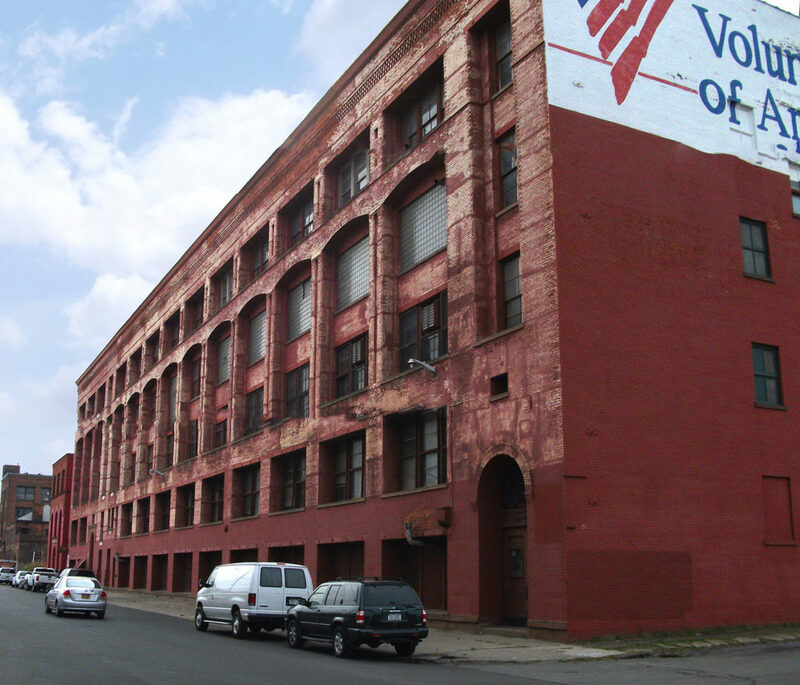 Canal Street is a mill and brick building ready for redevelopment in the historic Susan B. Anthony District – just off the Inner Loop in Rochester. 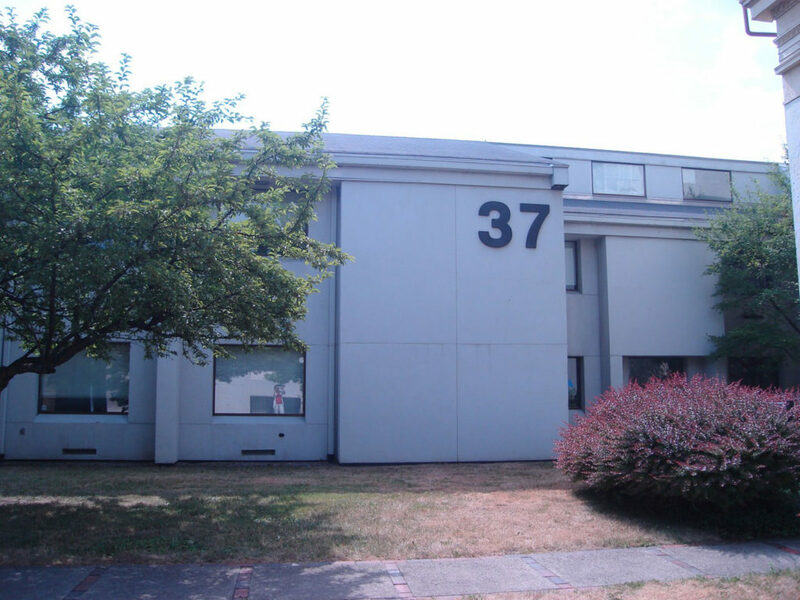 Cascade Commons offers loft-style office spaces located in the heart of the Cascade District at 39 Cascade Drive. 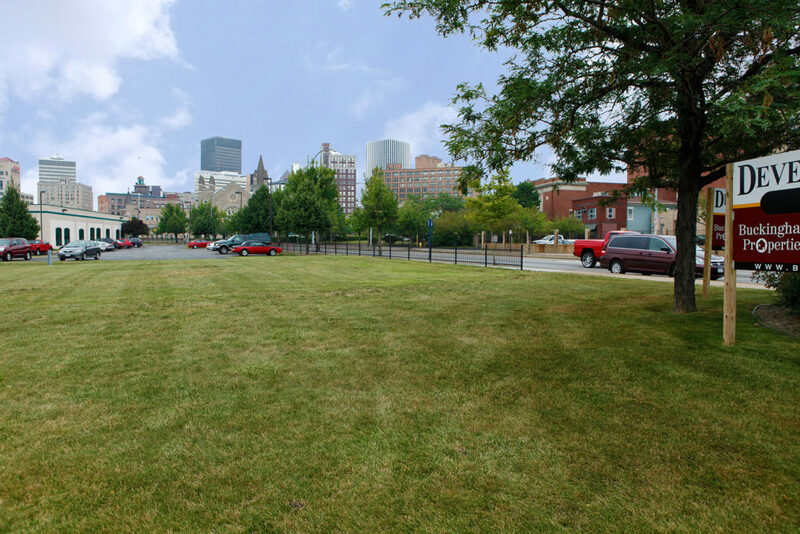 This .6-acre development site is located at the corner of Chestnut Street and University Avenue. 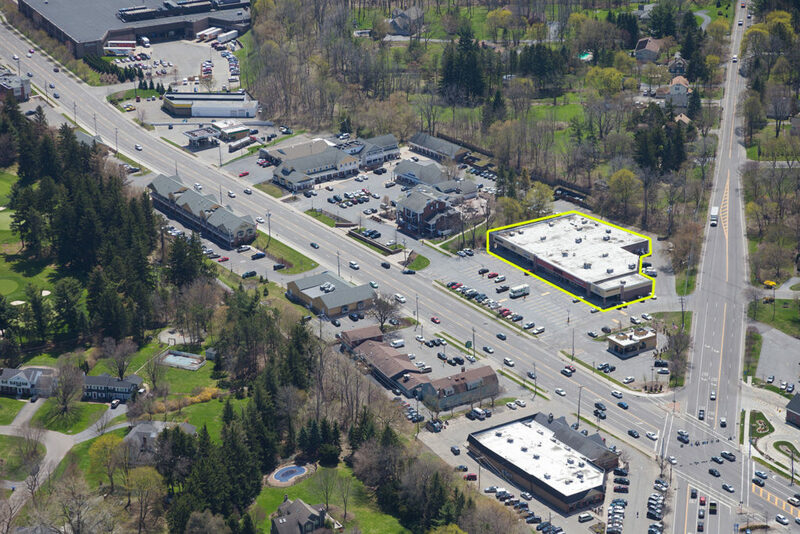 Citygate Plaza is a highly visible strip retail plaza located on Lyell Avenue. 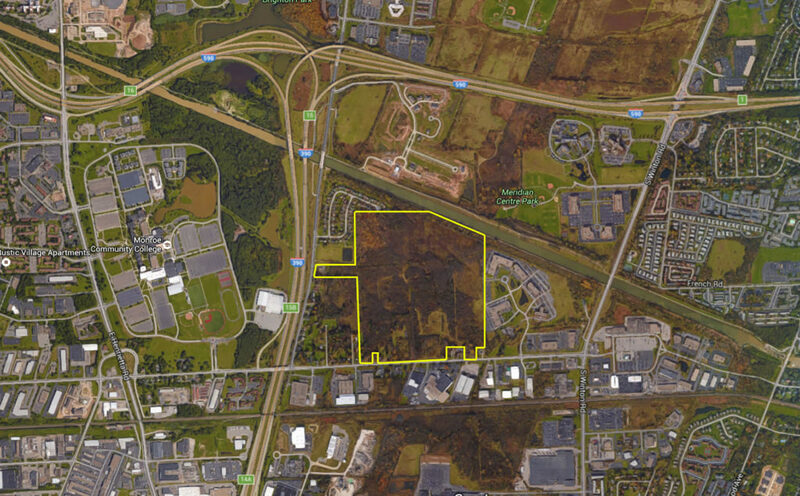 Ten acres of industrial development land are available in Farmington, NY. 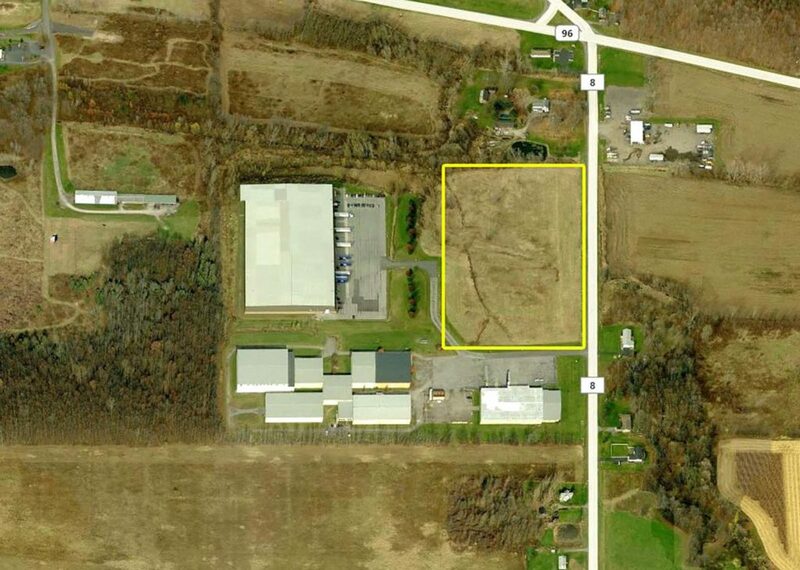 1370 County Road 8 is a light industrial park located in Victor, NY just 3 miles from the NYS Thruway. 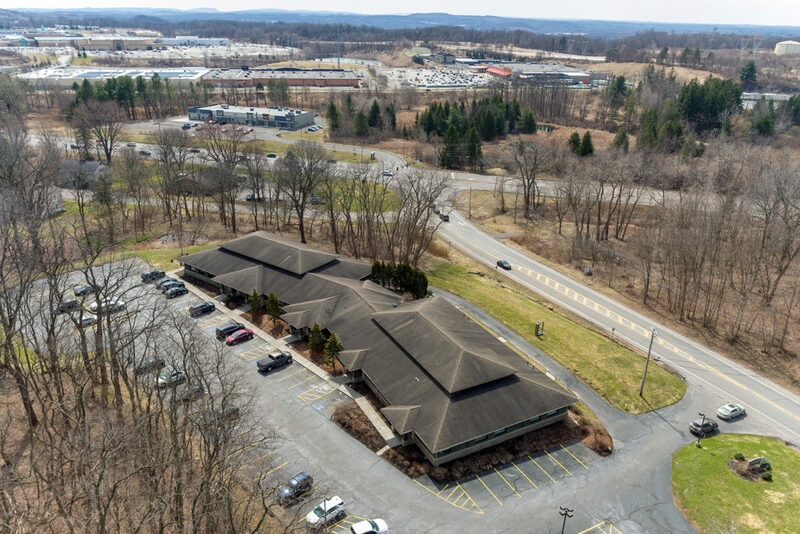 5829 County Road 41 is a distribution and manufacturing facility located in Farmington, NY – just 3 miles from the NYS Thruway. 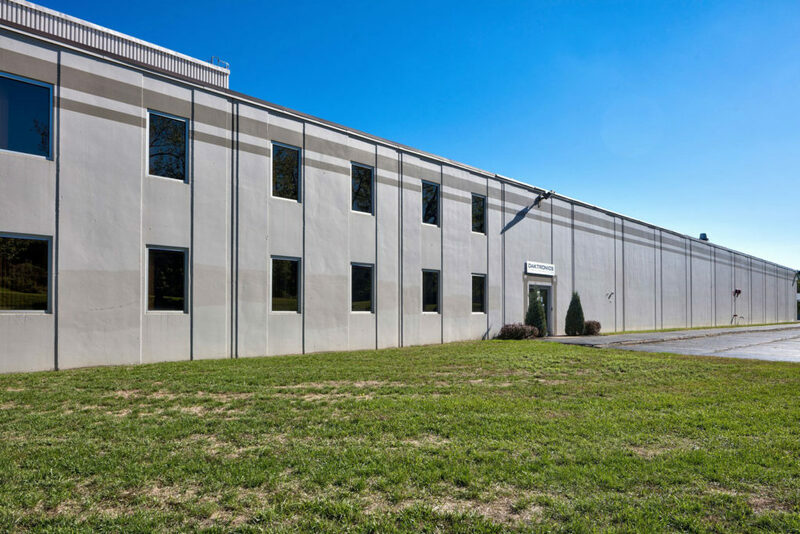 Eagle’s Landing is a flex business park offering office spaces, light industrial and warehouse space. Located at 1565 Jefferson Road, just 1.3 miles from I-390. Edge of the Wedge is a mixed-use redevelopment featuring ground floor retailers and loft style apartments. 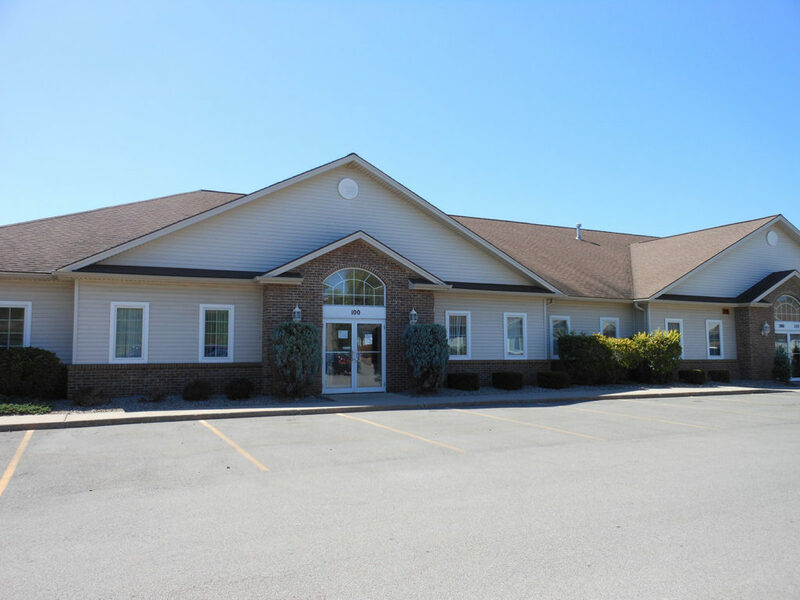 Elmwood Professional Center is a well-established office building location in the Town of Brighton. 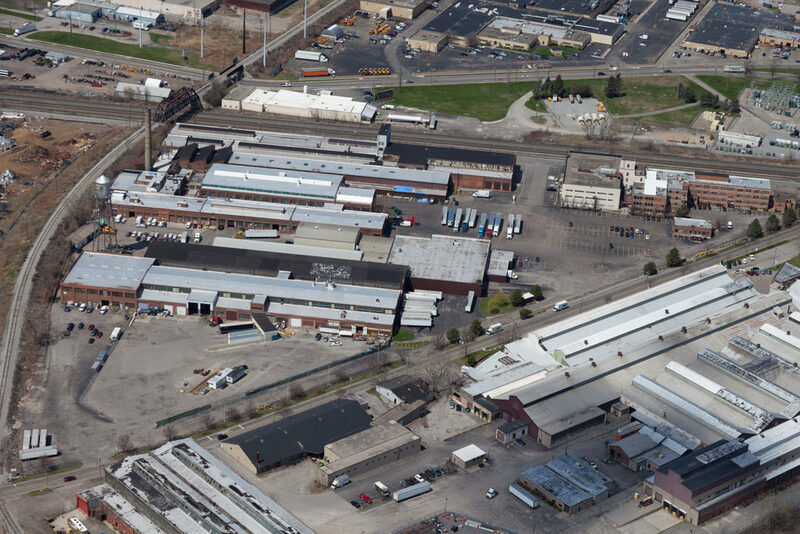 Gateway Business Center is a warehouse distribution facility located on Lyell Avenue – just 1/2 mile from I-390 and 1 mile from I-490. 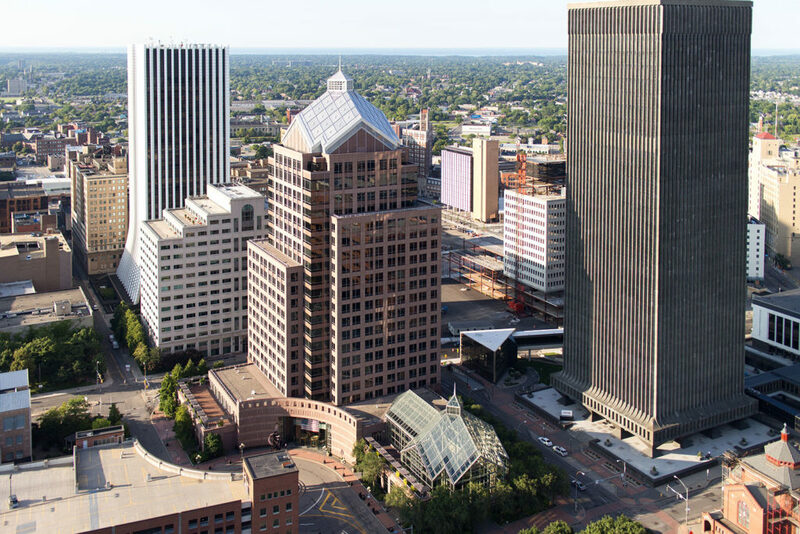 The Glass Pavilion is located at the corner of E. Broad Street and S. Clinton Avenue in Downtown Rochester. 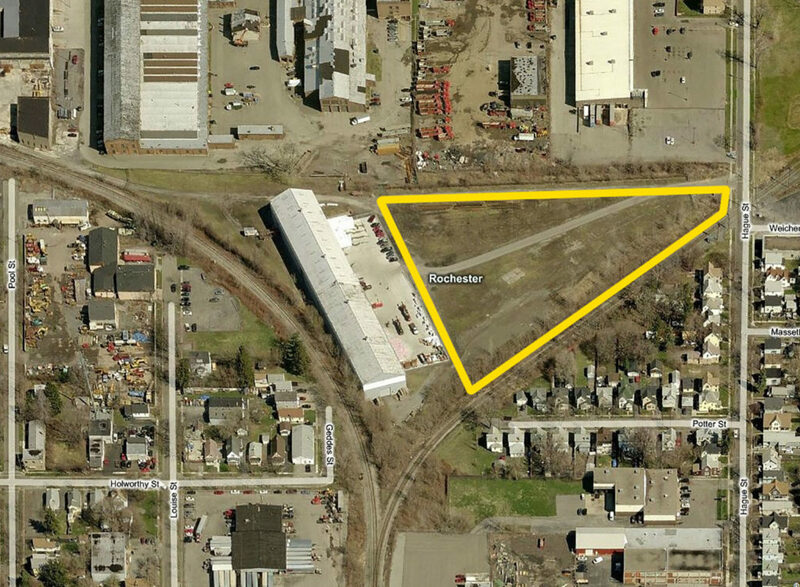 This three-acre development site is located at the corner of Hague Street and Lyell Avenue. 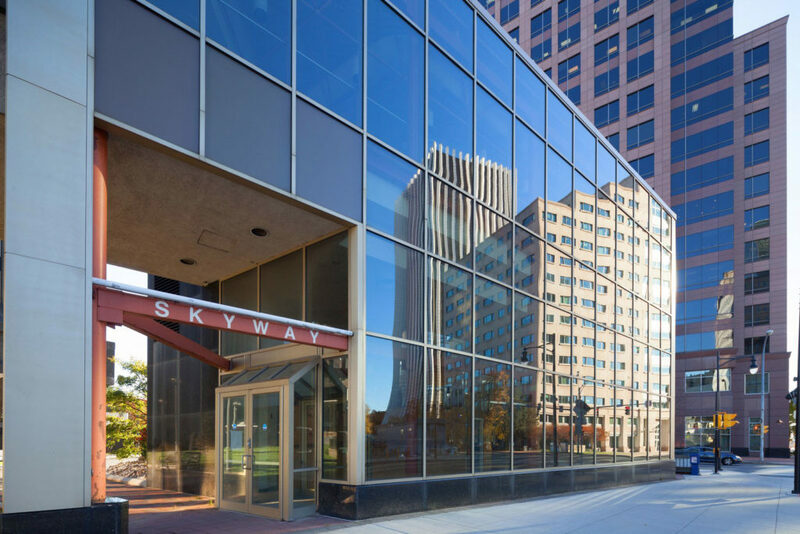 Legacy Tower is a Class A office building located in the heart of Rochester’s Center Business District. 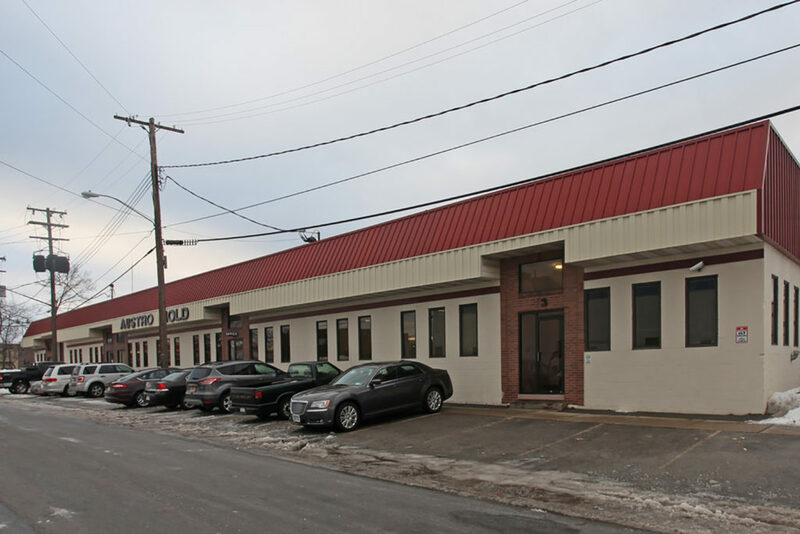 Lyell Business Center is a flex building complex located on Lyell Avenue just 1.3 miles from I-490. Lyell-Mt. 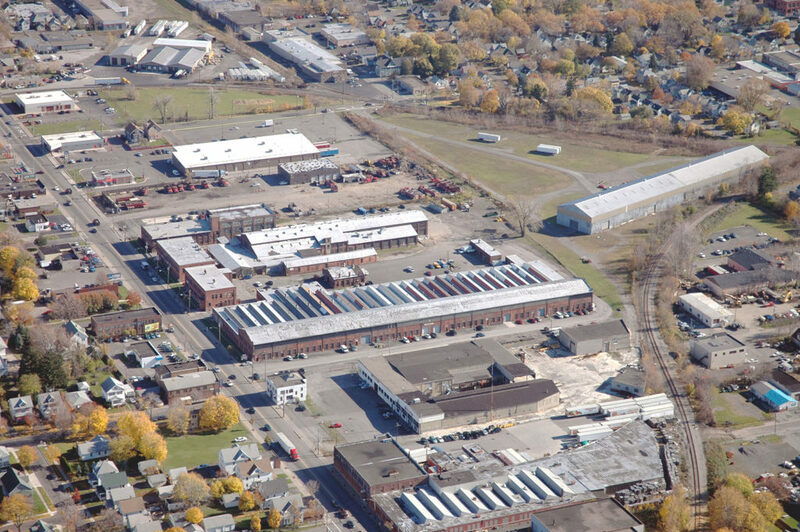 Read Business Center is an industrial and manufacturing park located on Lyell Avenue – just 0.5 miles from I-490 and 1 mile from I-390. 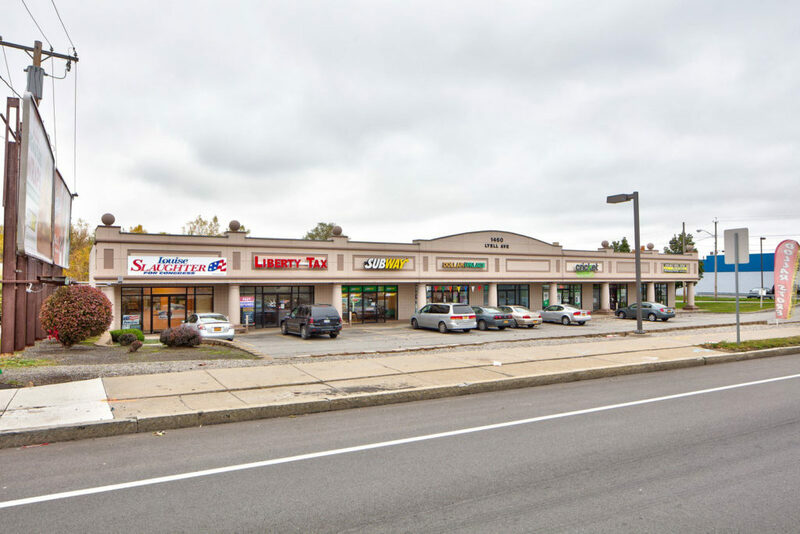 Lyell Shopping Center is a strip retail plaza located on the highly traveled corner of Lyell Avenue and Mt. Read Boulevard. 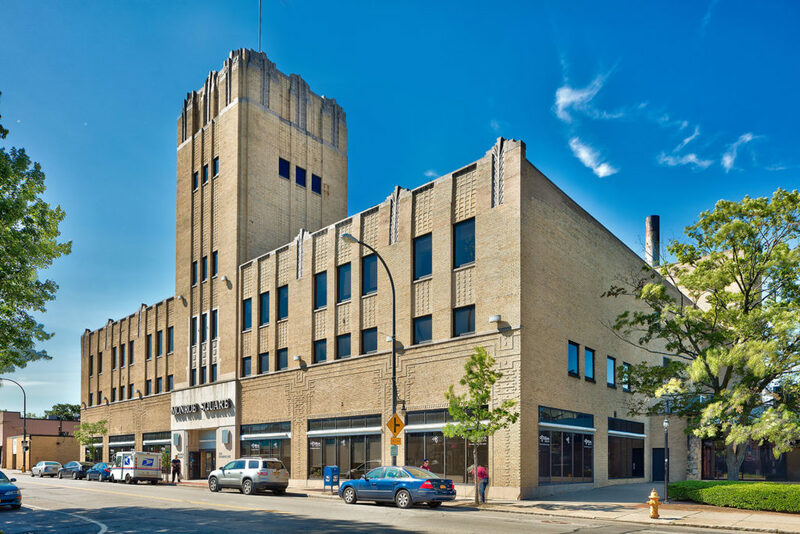 The Michaels-Stern Building is a mixed-use building located in Downtown Rochester offering four floors of loft-style office space, three floors of high end lofts, and retail on the first floor. Monroe Clover Plaza is a retail strip plaza located on the corner of Monroe Avenue and Clover Street. 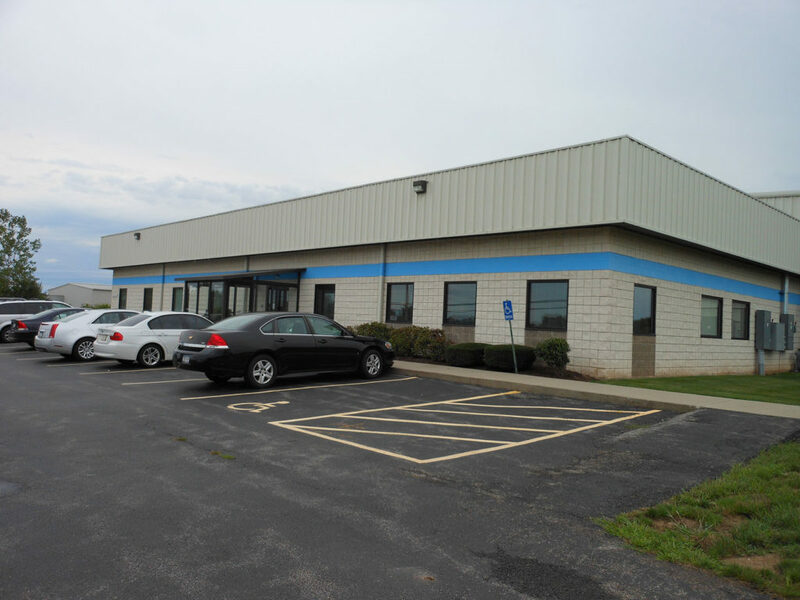 Chili Crossing consists of two office/medical office buildings located on Chili Avenue – just 1.2 miles I-490. 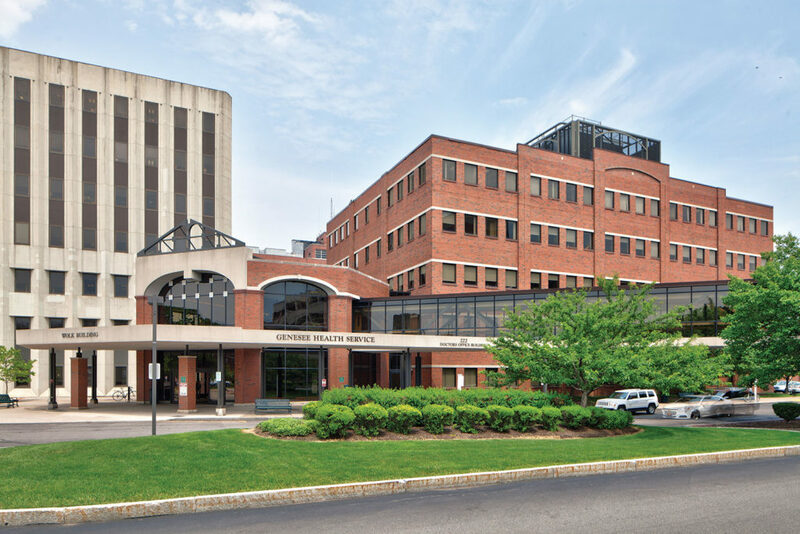 Moseley Office Center is an office/medical office complex located in Fairport, NY – just off I-490 near Eastview Mall. Oak Hill Commons is a boutique retail plaza located on Monroe Avenue in Pittsford. 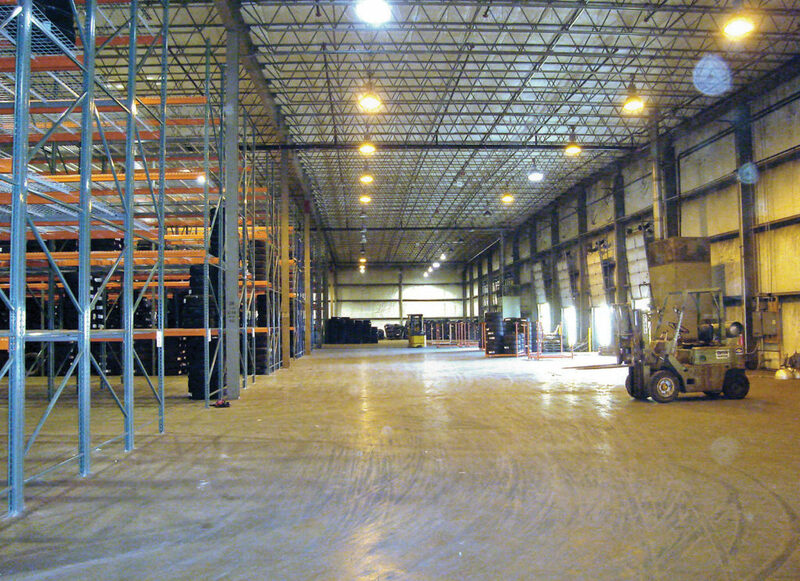 Pixley Industrial Center is a distribution facility located in Gates, NY – less than 1 mile from I-490. 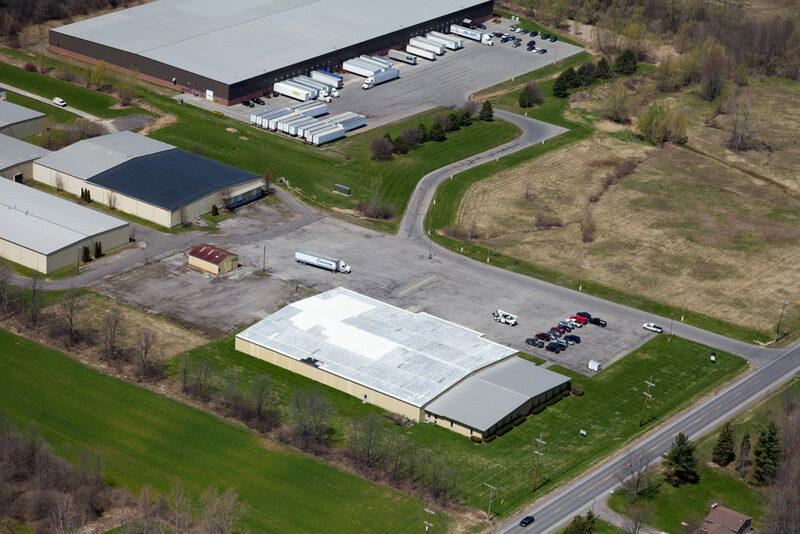 Rawson Road is an industrial/flex building located in Victor, NY – just 3 miles to the NYS Thruway. 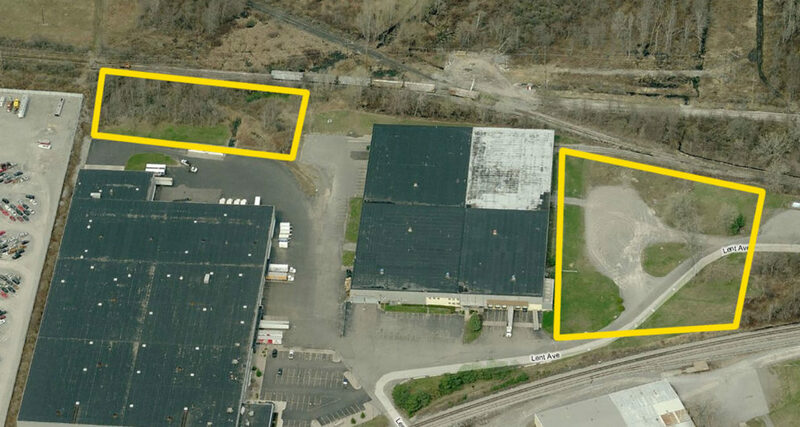 Twenty acres of industrial development land located in Victor, NY. 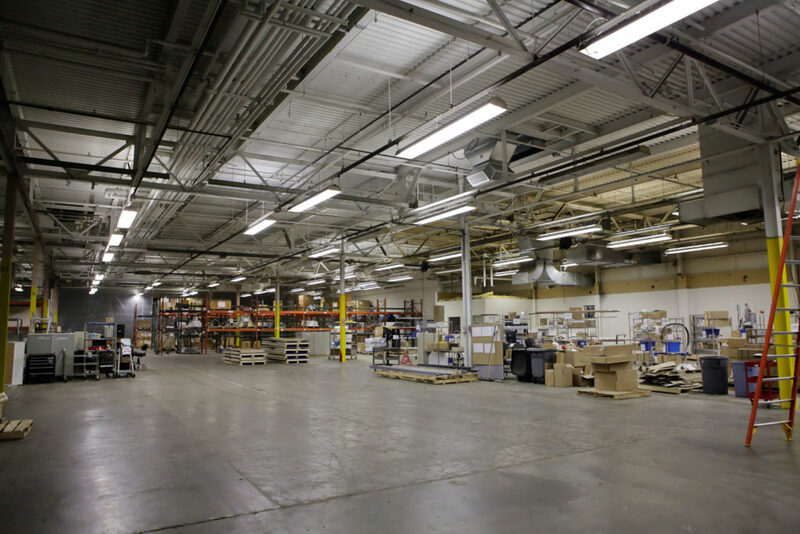 Rochester Business Center is a manufacturing and warehouse complex located at 465 Paul Road – just 2.7 miles from I-490 and less than 5 miles to the Rochester International Airport. 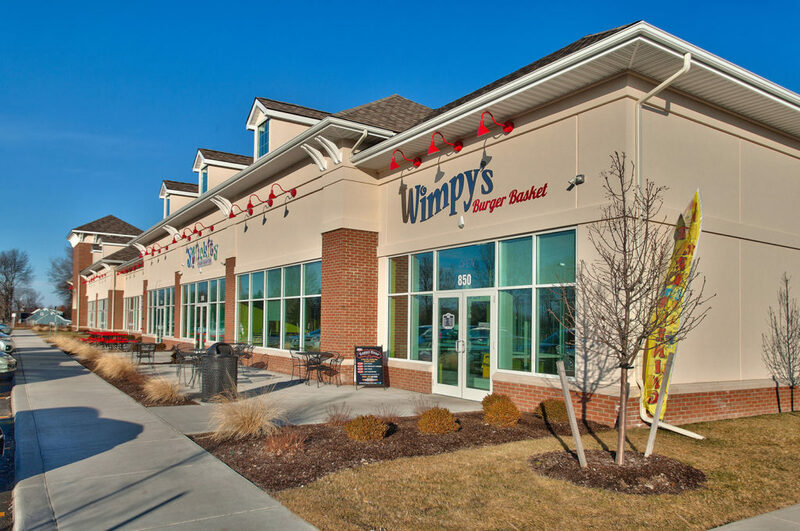 Springhouse Commons is a retail plaza located on Monroe Avenue in a highly visibly location. 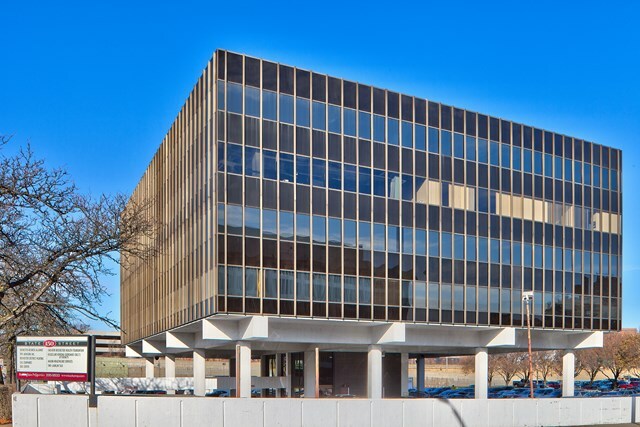 150 State Street is a four-story office building located one block from City Hall and the St. Paul Quarter. 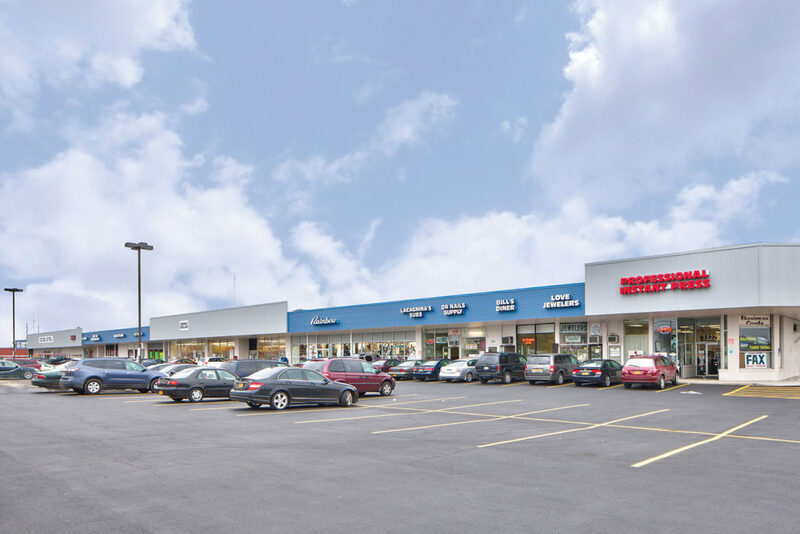 Stoney Creek Plaza is a retail plaza located in Rochester’s largest suburb of Greece, NY. The plaza is located at the corner of Long Pond Road and English Road. 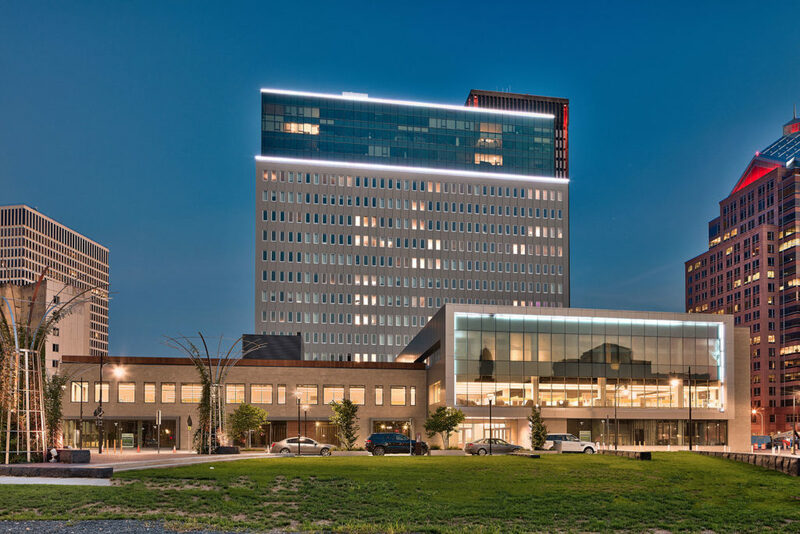 Tower280 is a recently redeveloped mixed-use building in the heart of downtown Rochester that features ground floor retail, office space on the second and third floors and luxury apartments. University Business Center is a mixed-use complex of office, industrial and retail spaces located on University Avenue at Culver Road – less than one mile from I-490. 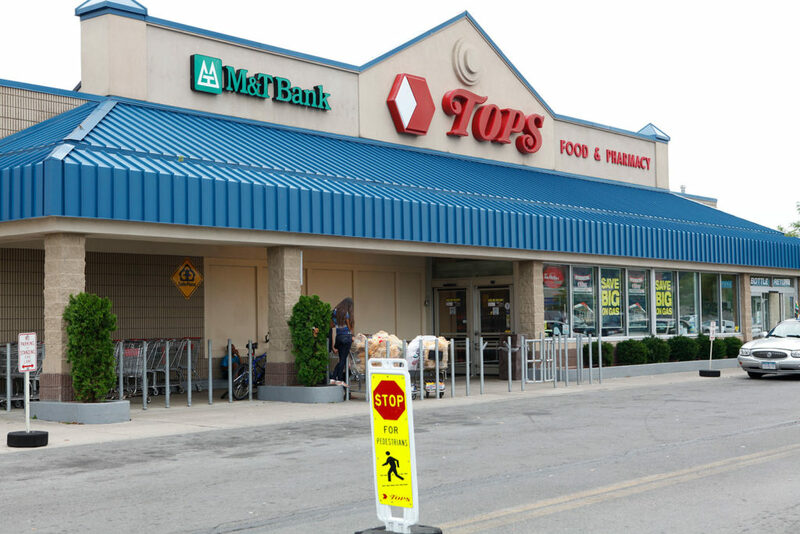 Upper Falls Plaza is a retail plaza located at the corner of North Clinton Avenue and Upper Falls Boulevard. 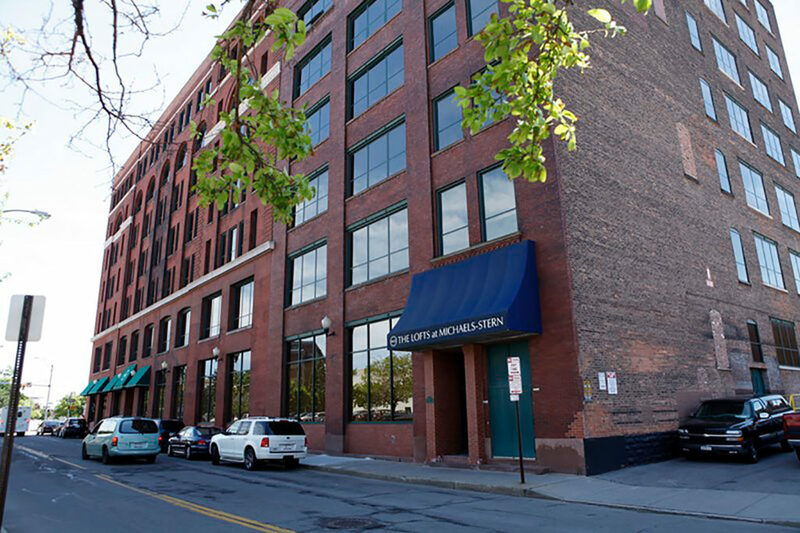 37 S. Washington is a standalone office building located in downtown Rochester – just off I-490. 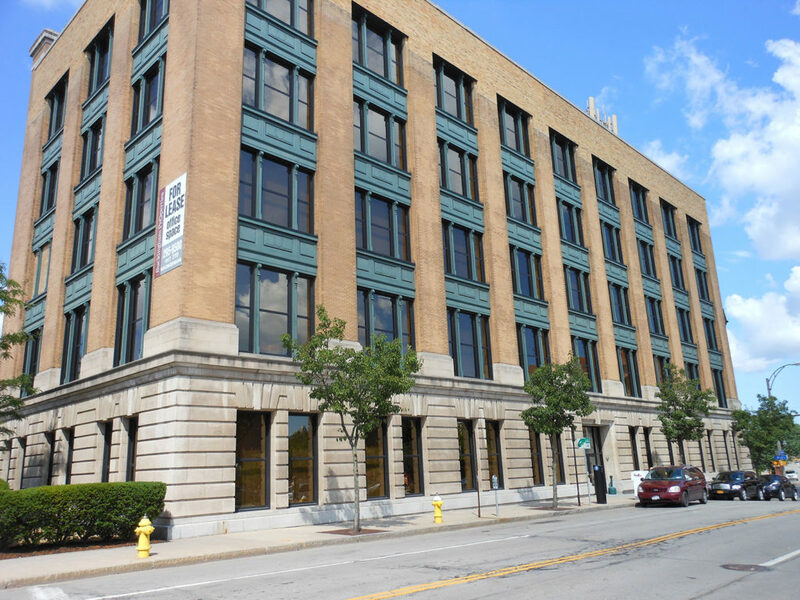 The Washington Building is an office building located in the heart of downtown Rochester just off the Inner Loop. 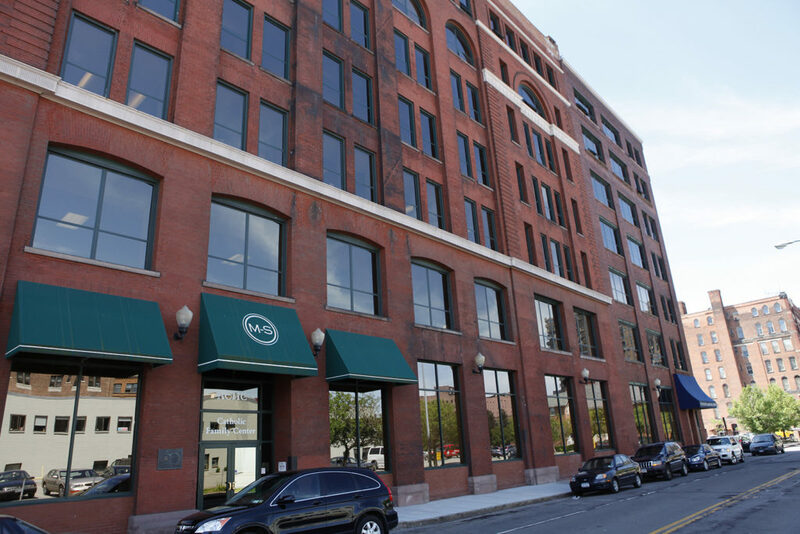 Water Street Commons is mixed-use complex located in the St Paul Quarter with modern office spaces and residential loft apartments. 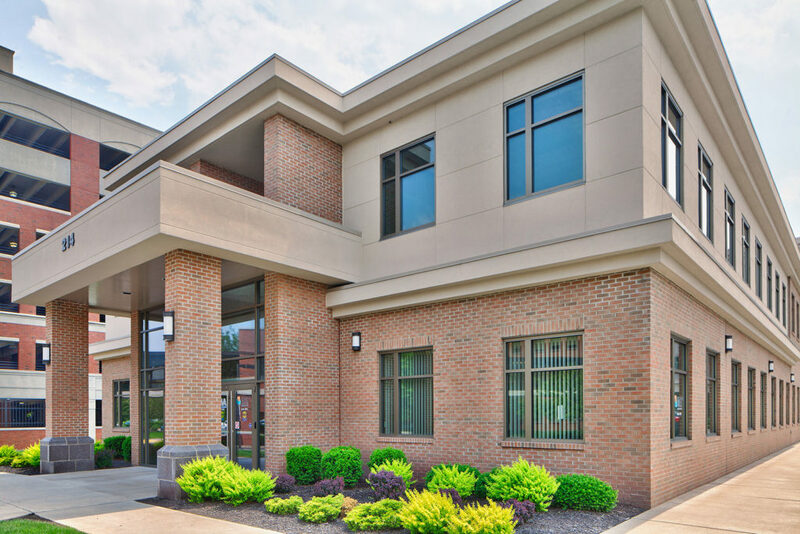 West End Business Center is a mixed-use complex with 16 buildings consisting of office, manufacturing and warehouse space located on West Avenue – just 1.2 miles from I-490. 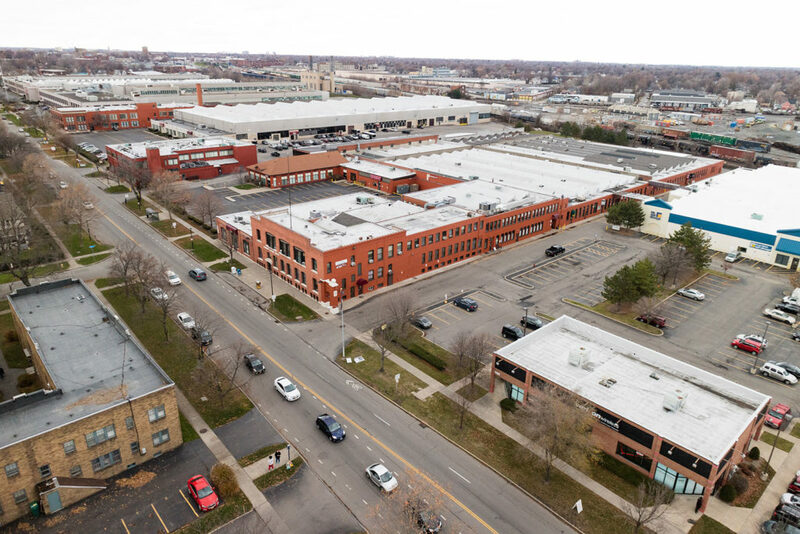 West End Business Center is a mixed-use complex with 16 buildings of office, manufacturing and warehouse space located on West Avenue just 1.2 miles from I-490. 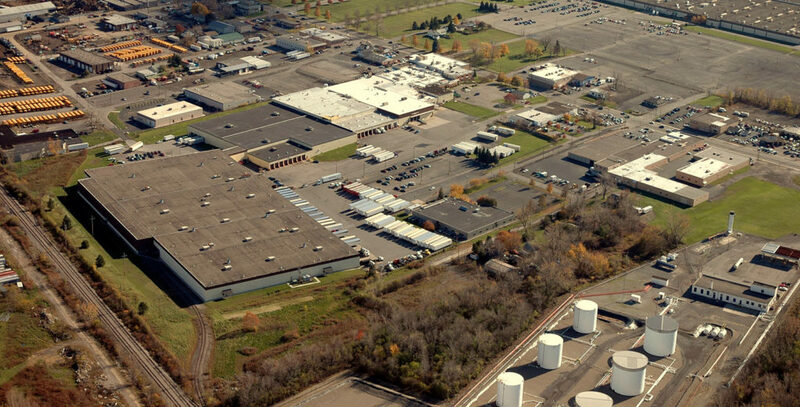 Brighton Business Park is a 132-acre development property located in Brighton, NY. 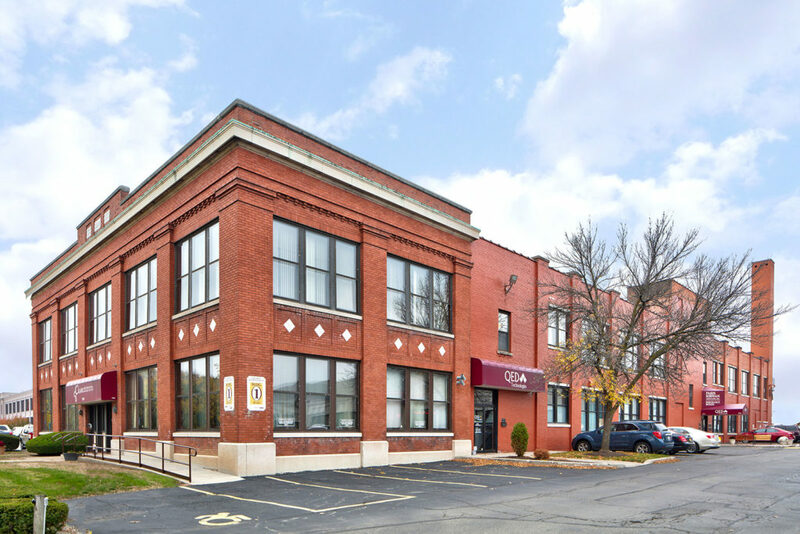 Winton Place is a flex warehouse and office space located at 3535 Winton Place – just 4 miles from I-390. 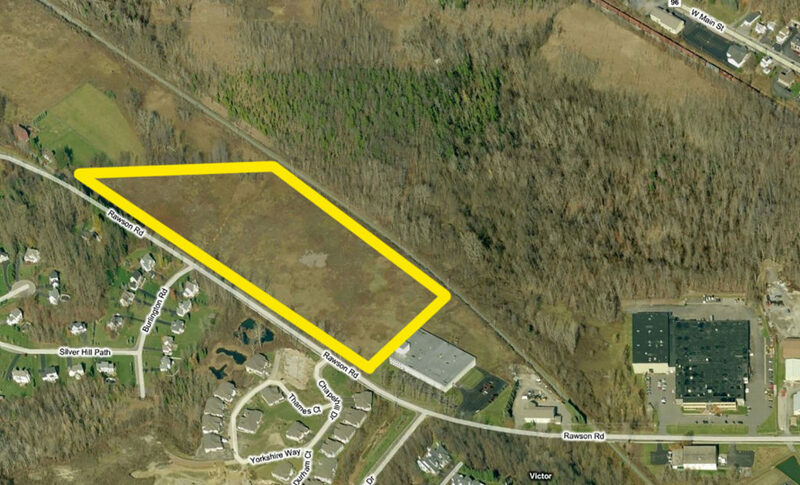 Six acres of development land are available in LeRoy, NY. 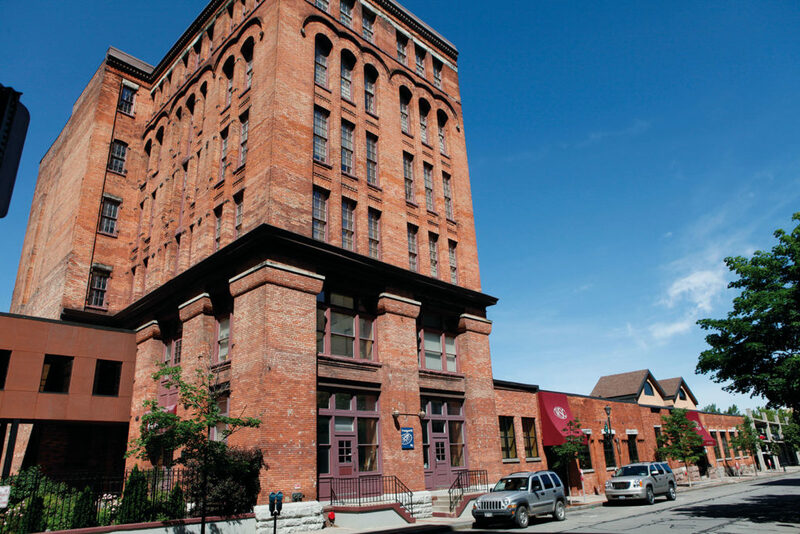 The Industrie Lofts are located in the St. Paul Quarter near Pane Vino, Fifth Frame Brewing, and Tapas 177. 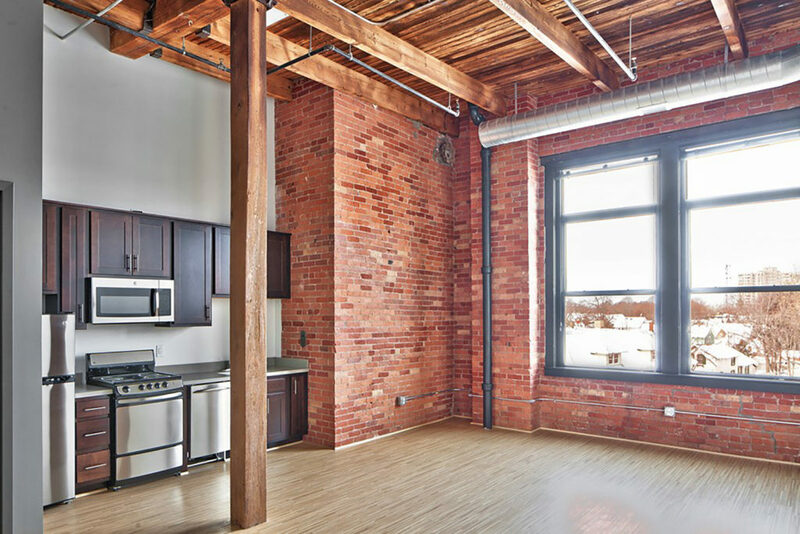 The building offers one, two, and three bedroom lofts with tall ceilings, exposed columns and brick. 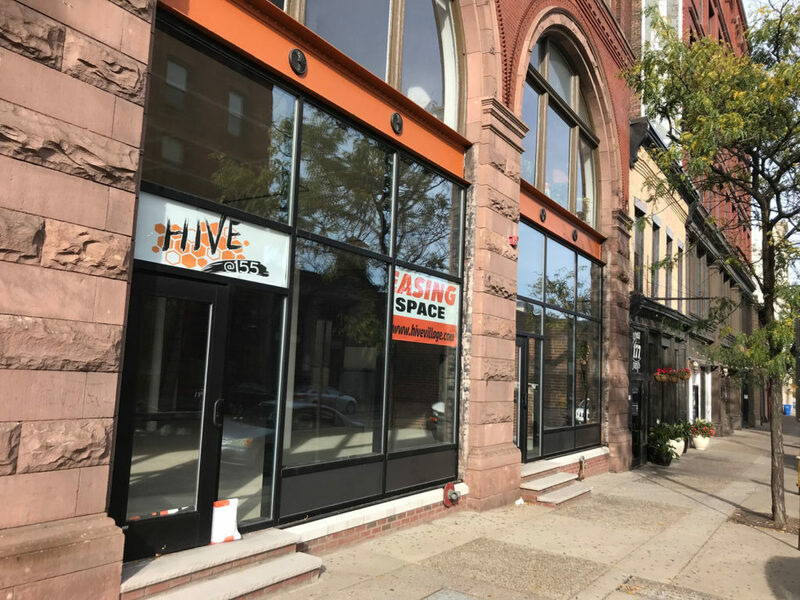 The Hive is located in the St. Paul Quarter restaurants and the Genesee River. 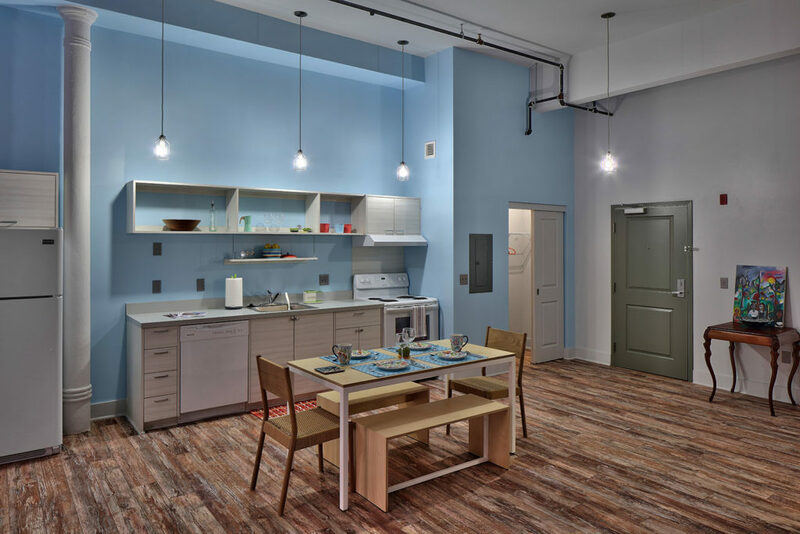 Hive@155 offers 54 open concept studio lofts and Hive Andrews offers nine one and two bedroom lofts with tall ceilings and exposed columns and brick. Gorgeous one bedroom loft apartments overlooking Frontier Field (Rochester Red Wings Baseball). Features include exposed brick, post and beam, wood floors, appliances, electronic entry system and roof-top deck. 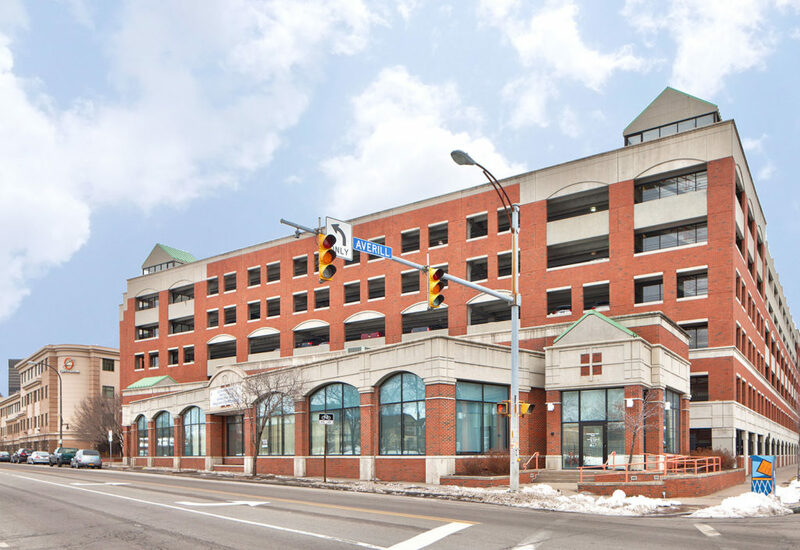 This seven-story downtown building has free gated parking and secure entry. 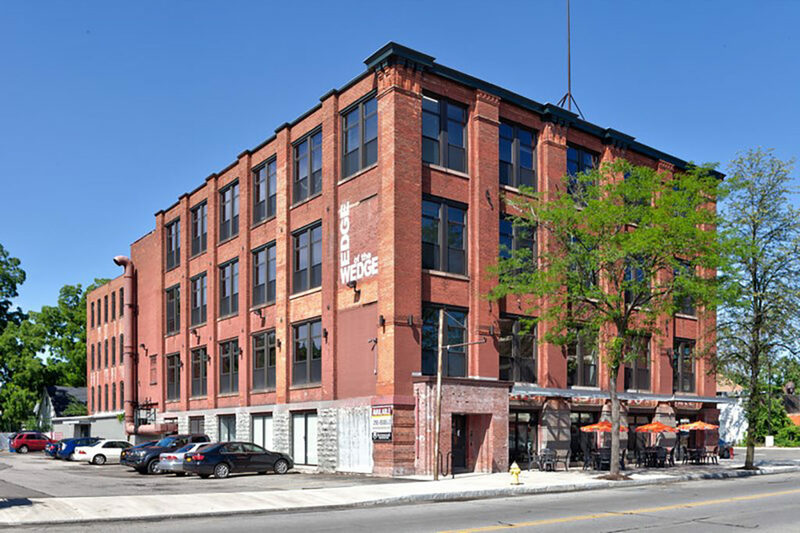 Located in the heart of downtown Rochester, The Lofts at Michaels-Stern feature exposed brick, post and beam for an industrial feel along with large windows. 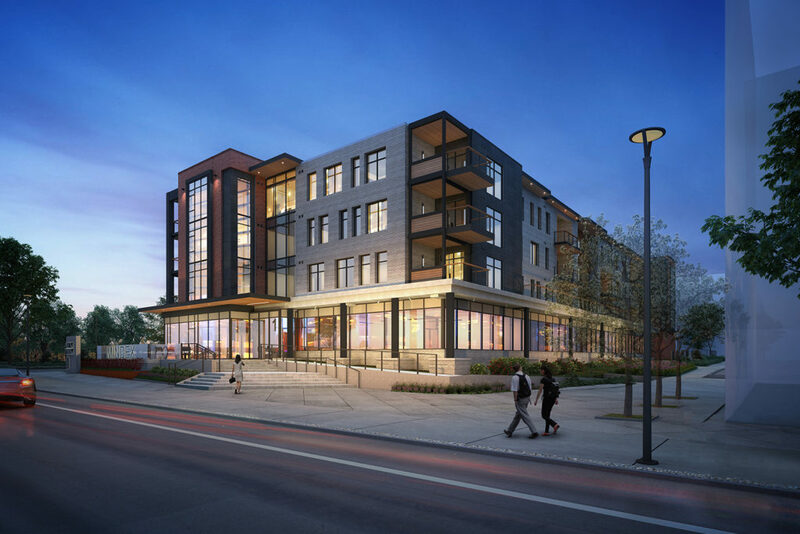 Overlooking the Genesee River and in the heart of the St. Paul Quarter neighborhood, Water Street Commons feature high ceilings, large windows and appliances. Tenants at Water Street are close to entertainment, restaurants, the expressway and public transportation. Water and private garage parking is included. Residents at Tower280 enjoy luxury apartments, a rooftop dog park and patio, state-of-the-art fitness center, underground parking, and more! Please contact our partner, Grand Atlas Property Management for residential information, or visit WWW.TOWER280.COM for additional information. Bennington Greenlane Townhouses are located in the Maplewood neighborhood in the Town of Greece. The four-building complex includes 24 two-bedroom rental units. 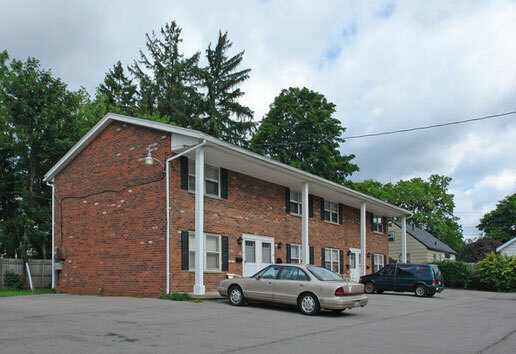 Websterville Apartments is located in the Village of Webster on South Avenue. The property offers sixteen residential units ranging from studios to two bedroom apartments. 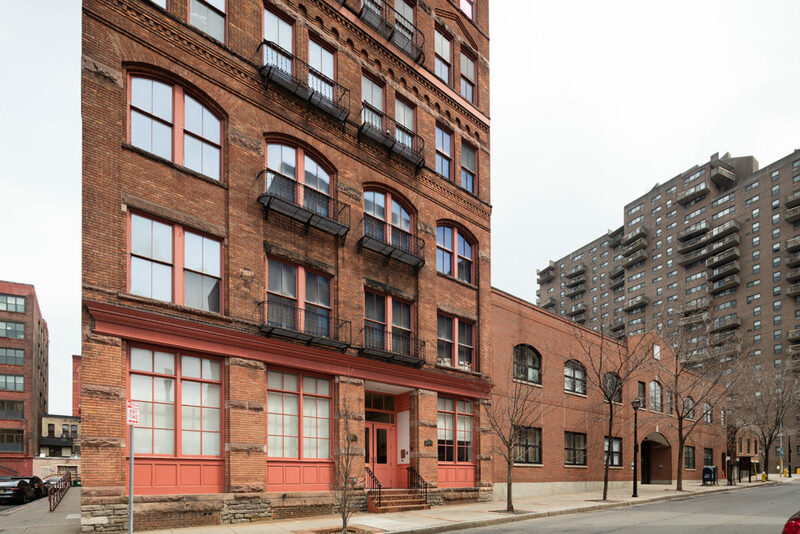 664 University Avenue offers six residential apartments in the Neighborhood of the Arts. Just a stone’s throw away from downtown, the area is a great and convenient neighborhood to call home. All apartments offer one or two bedrooms with a master bathroom, as well as a half bathroom. Buckingham Properties has several apartments in the Alex Park neighborhood. Located on Alexander Street between Monroe and Park Avenues, the area is in the center of it all—shopping, restaurants and nightlife.